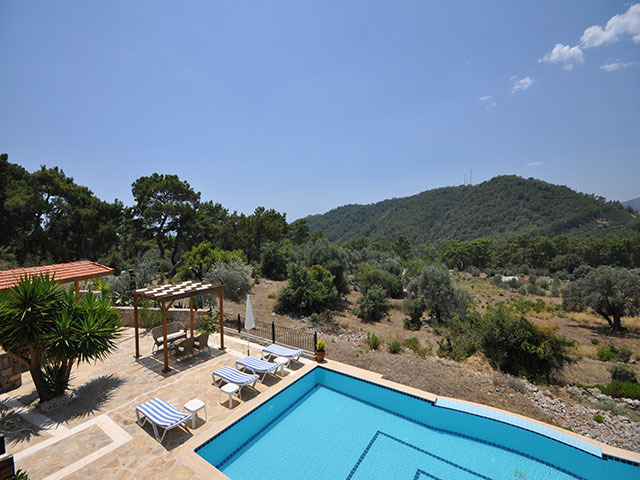 This Gocek mansion has nine spacious bedrooms all having en suite bathrooms, set within a large garden and surrounded by natural scenery. 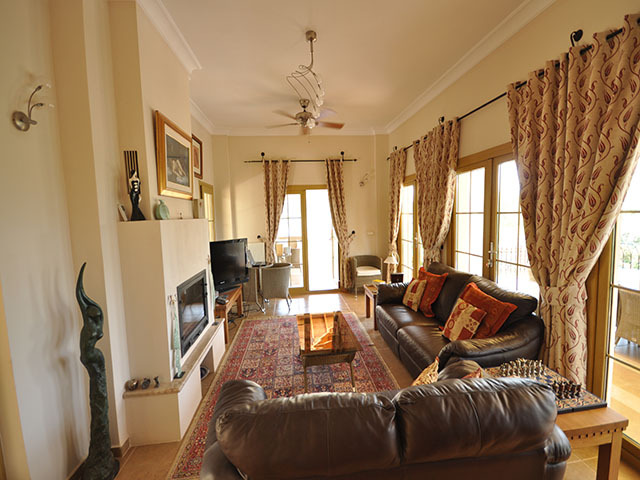 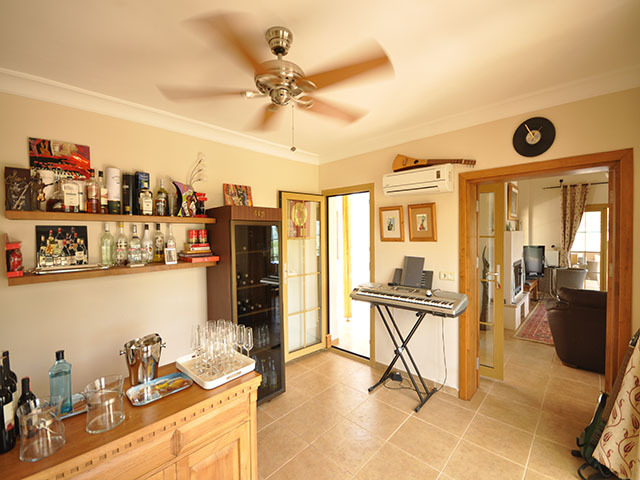 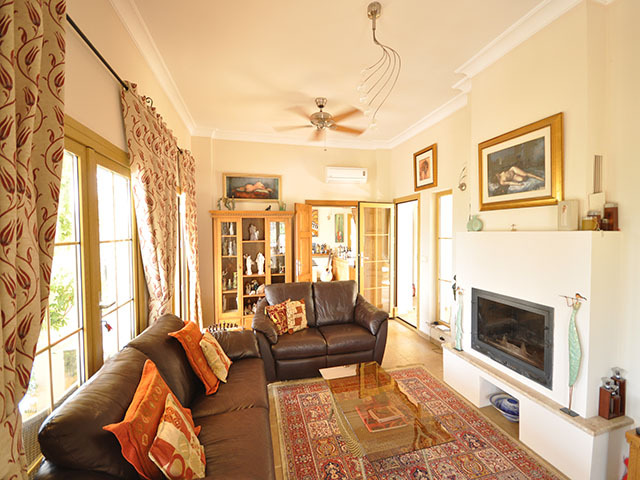 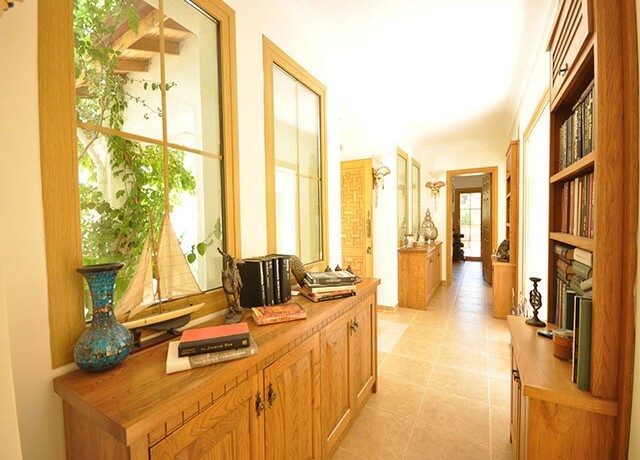 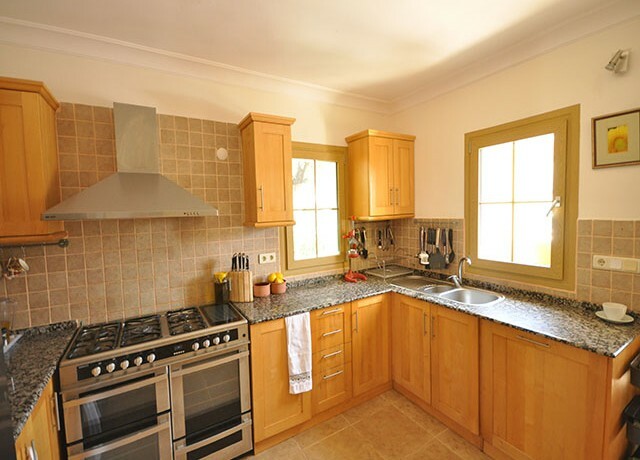 As you enter the property you will find a spacious interior with a fully equipped kitchen, dining room for 12 persons, sitting room, bar with music area, cloakroom and office. 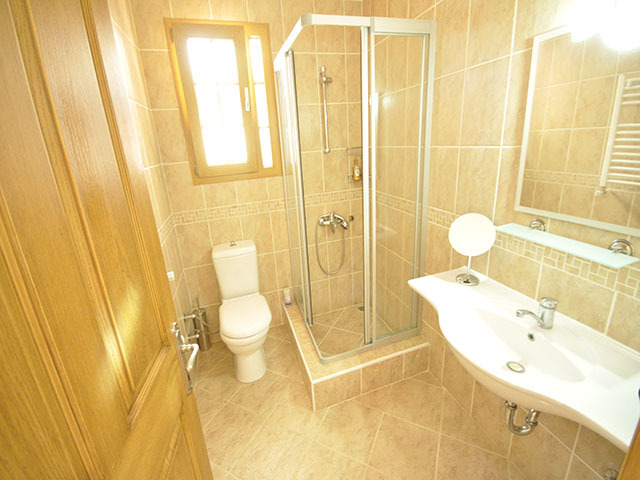 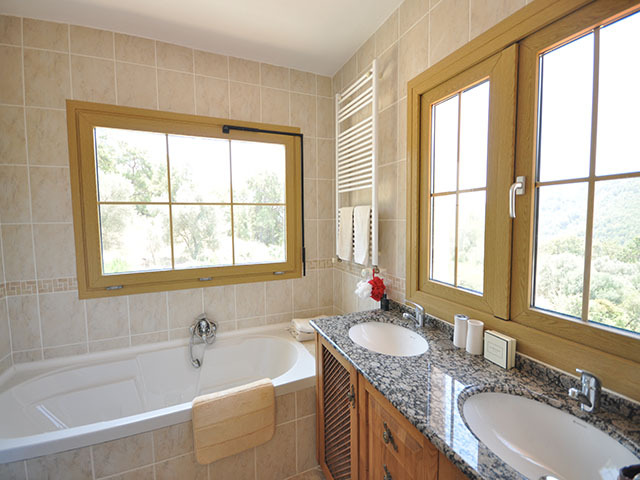 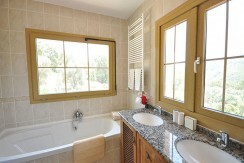 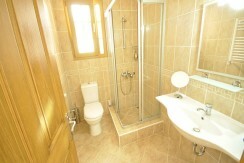 There are two en-suite bedrooms located on the ground floor. 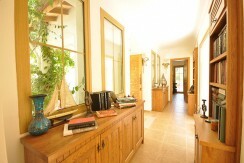 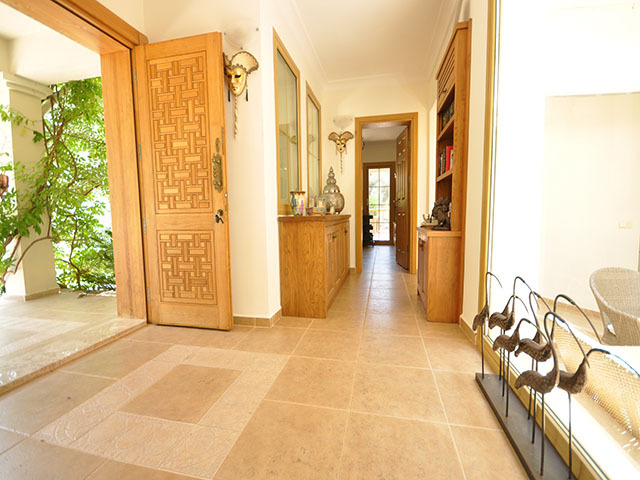 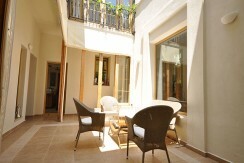 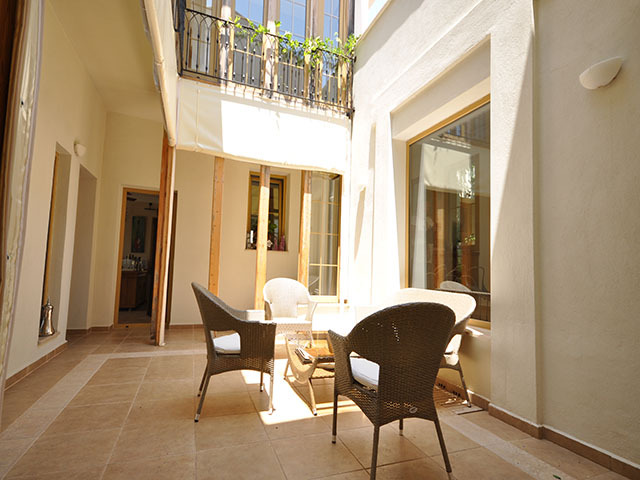 In the middle of the ground floor there is an open courtyard with doors that open out to large terraces and garden area. 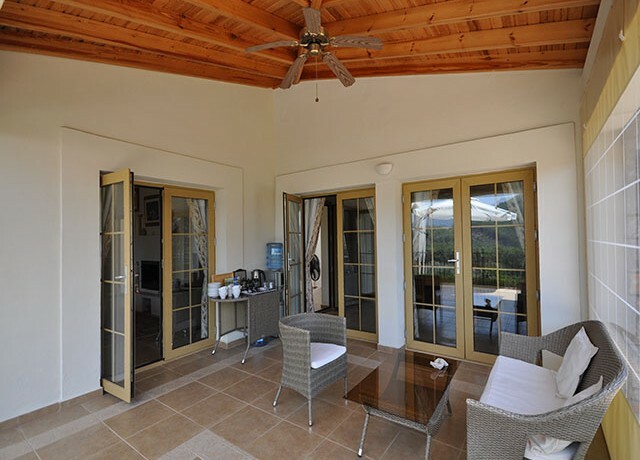 The top floor hosts a large master bedroom with en-suite bathroom and a Juliet balcony which overlooks the internal courtyard and up towards the mountain range. 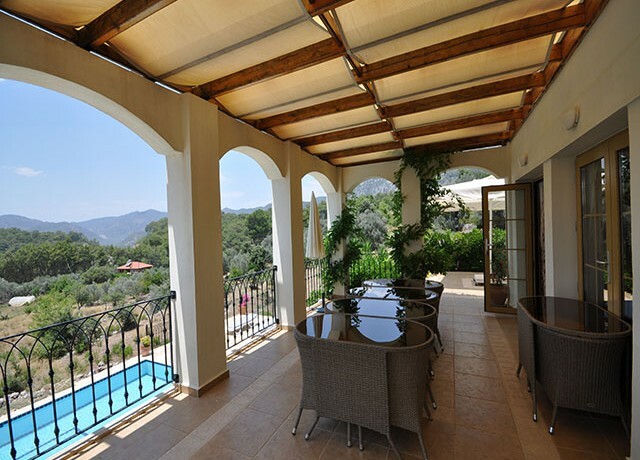 From here are amazing views from the windows and a large terrace that sees the whole valley to the mountains where the sun sets. 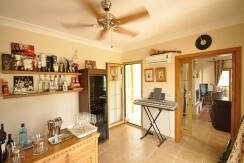 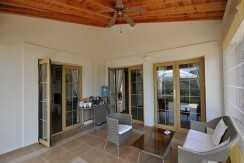 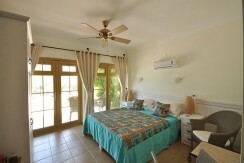 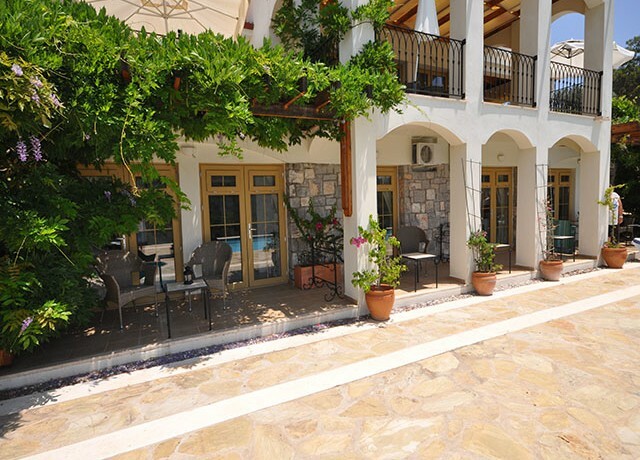 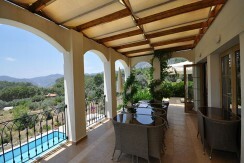 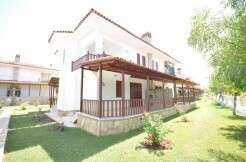 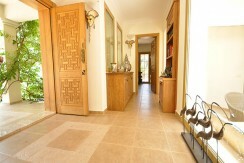 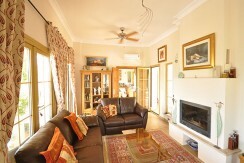 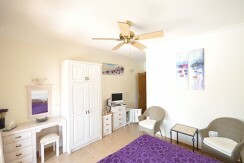 Also on this floor is another large en-suite bedroom with balcony and the same views towards the sunset. 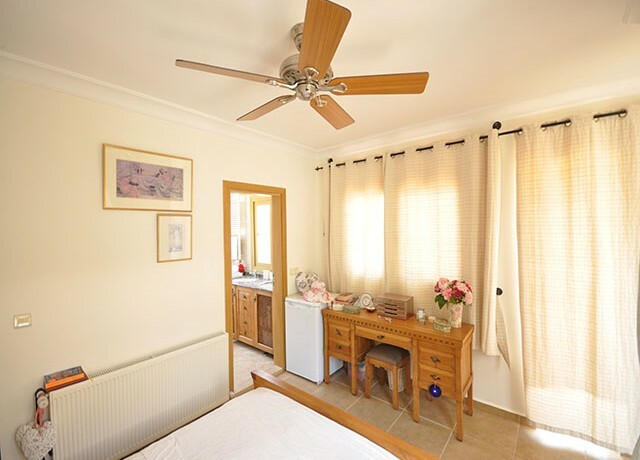 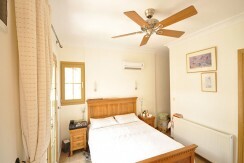 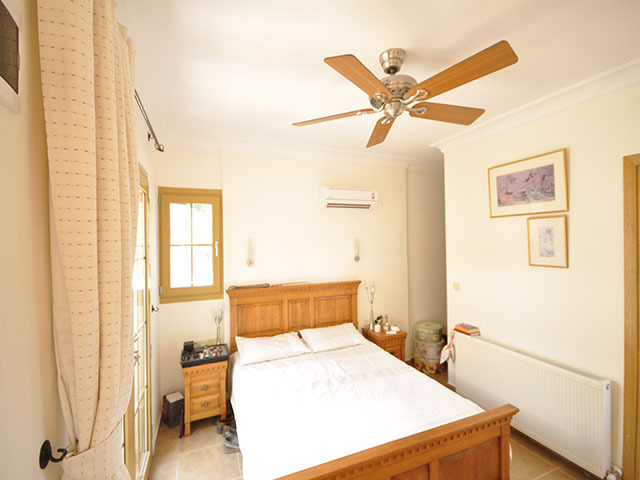 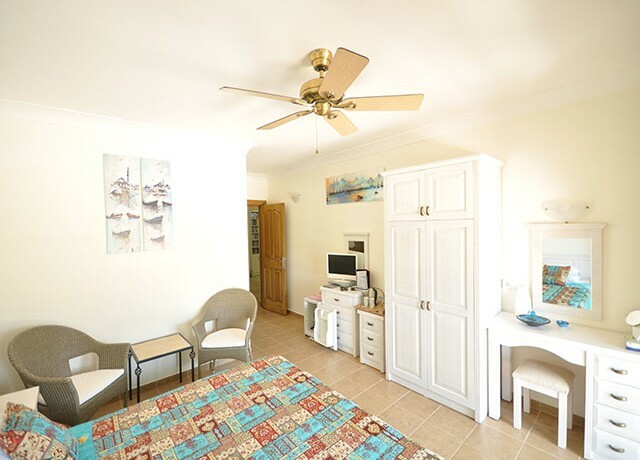 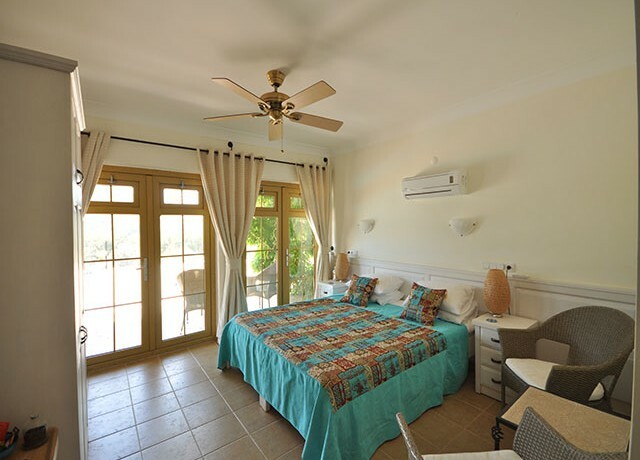 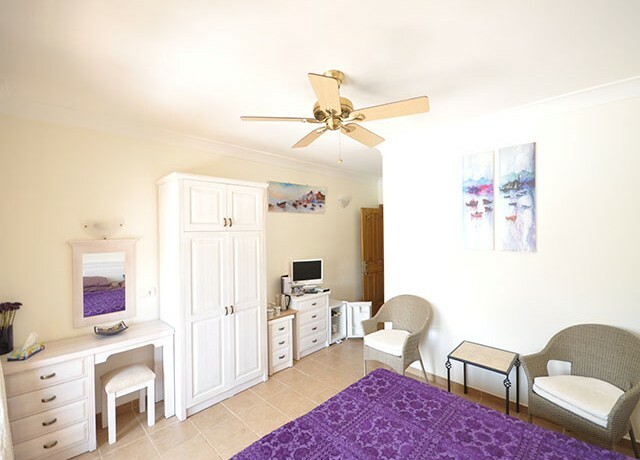 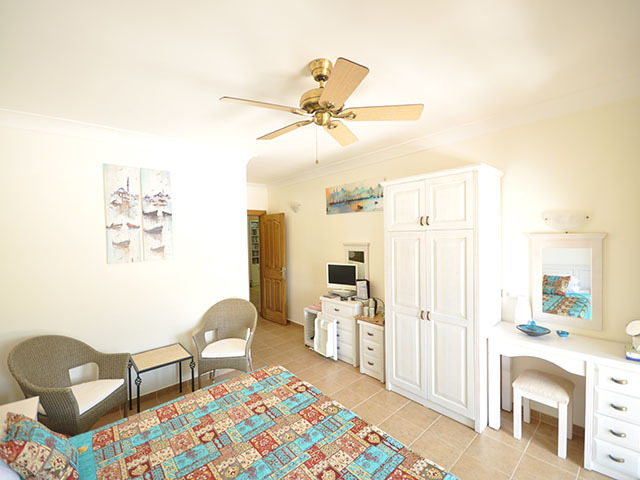 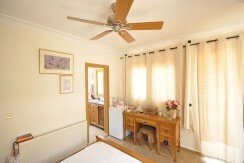 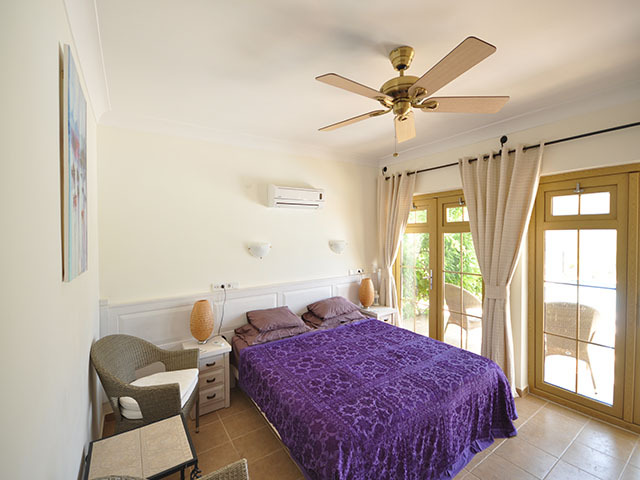 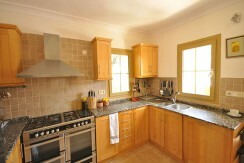 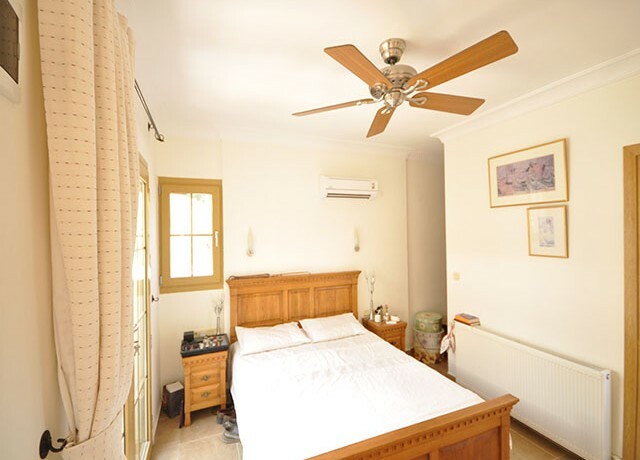 All bedrooms are equipped with fitted wardrobes, air-conditioning units. 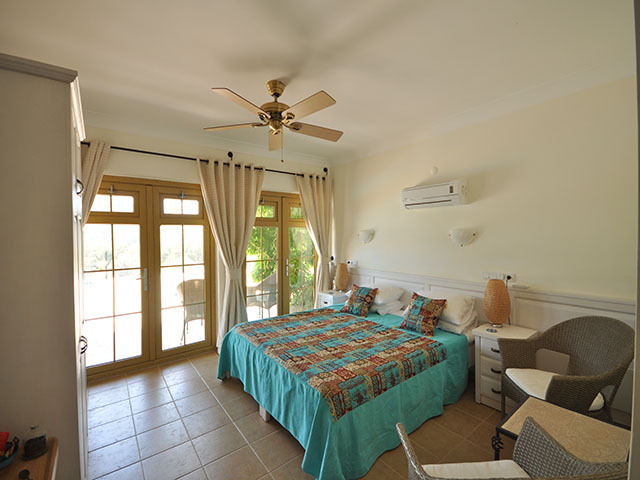 Downstairs at the lower pool deck are five en-suite bedrooms. There is a utility room, a gym with a separate toilet and a shower room, there is also a room (as yet unfinished) which can be used as a sauna or steam room. 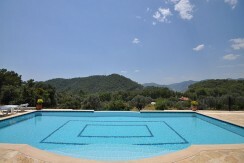 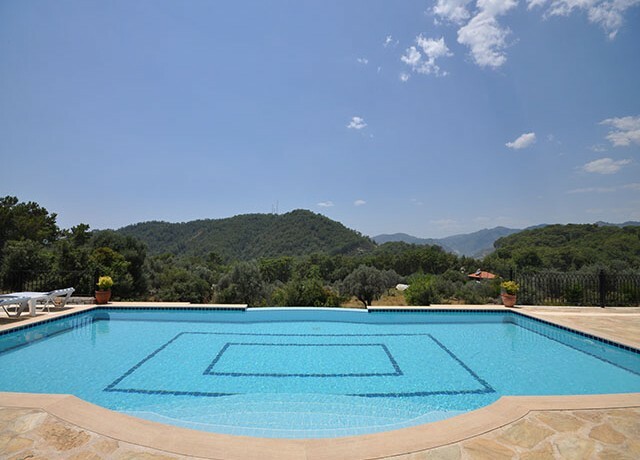 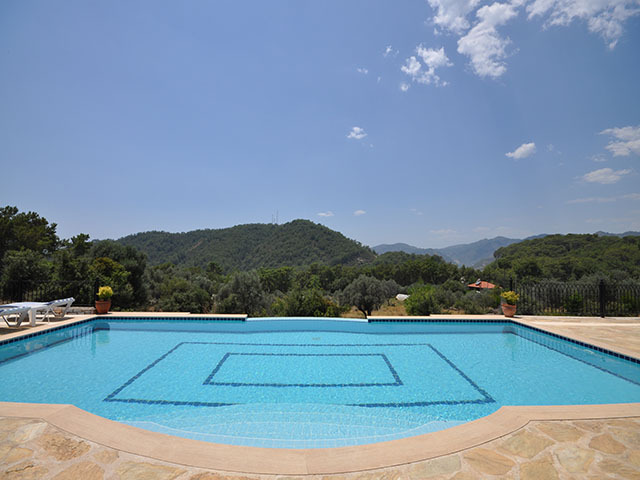 At the center of the garden there is a large infinity swimming pool with a separate childrens pool, surrounded by a large sun terrace and with a covered pergola area. 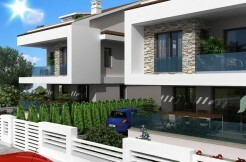 There is a large car park to the side of the property. The natural surroundings provide ample space for walking and enjoying outdoor life. 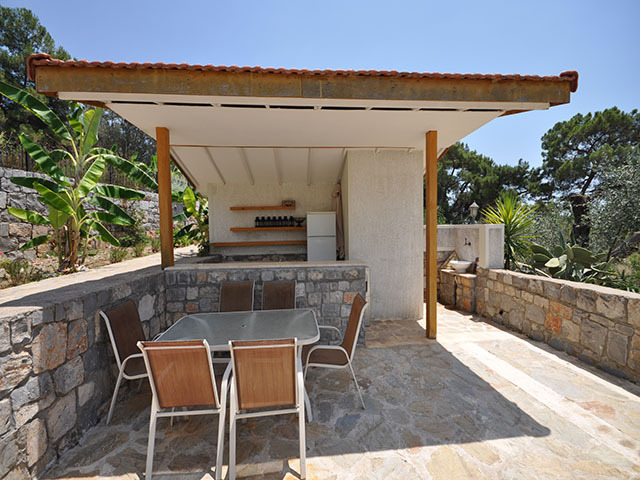 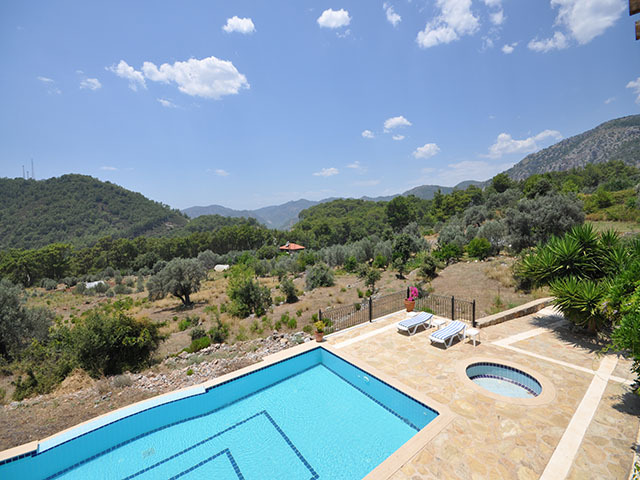 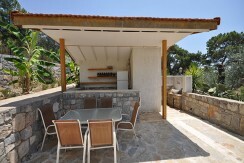 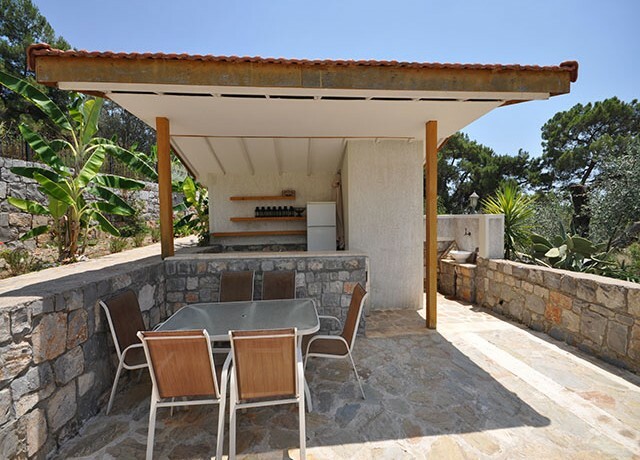 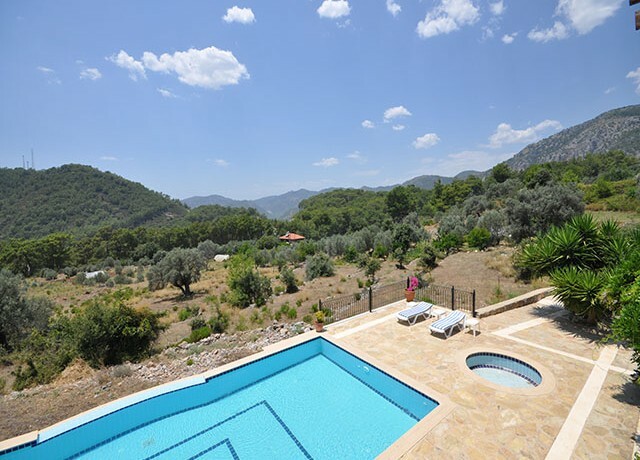 The villa is found in Gocek and is only 25 minutes driving distance away from Dalaman International Airport, a short drive will take you to Gocek where you will find local amenities including restaurants and bars, and a luxury marina. 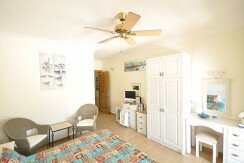 The nearest beach is only 10 minutes away; giving you everything you need within easy travelling distances. 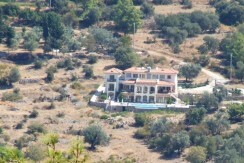 This is an exceptional opportunity for someone looking for a luxury mansion, or thinking to run their own commercial business in Turkey, due to the new Touristic License on this large (9520 sqm) land that will give any future buyer up to approximately 1500 sqm of extra building potential (including the 550 sqm already used).